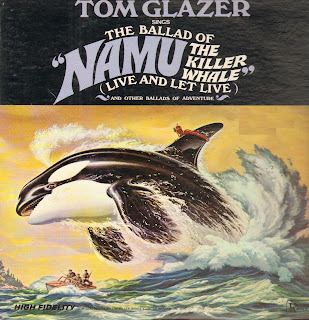 The first song from this album is supposed to be from a movie called "Namu the Killer Whale". I don't remember that movie myself, but it's a pretty nifty cover. The other songs are your typical folk songs filled with violence and death and Davy Crockett sung quite nicely by Tom Glazer. Enjoy! I think I would have passed on this had the narration not been by the great Tom Glazer!